A 3D printed prototype of my first design–it looks nicer than the handmade original, and it cost $100. The nylon prototype on a 637. 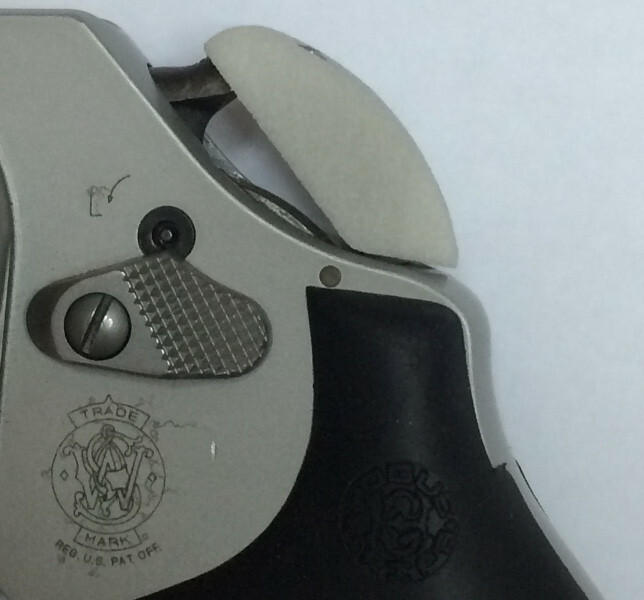 Note how the hammer tip is exposed. It more or less worked. You can see how I left the tip of the spur exposed—just like existing shrouds. That shows how sometimes what you know limits your thinking, and I’d say it was my first big mistake in bringing this product to market. There’s no reason to expose the hammer spur on a removable shroud! But I did anyway. I had a prototyping firm (RapidMade of Portland, OR) make a CAD model based on measurements of my 360PD. I originally conceived of this as an injection-molded product, so we were trying to make something that would part easily and not have undercuts. I had some 3D prints made of this design, in plastic. Again I’d like to show those to you, but that plastic was very brittle, so while I was able to confirm that the moldable design more or less worked, I broke the prototypes in the process. 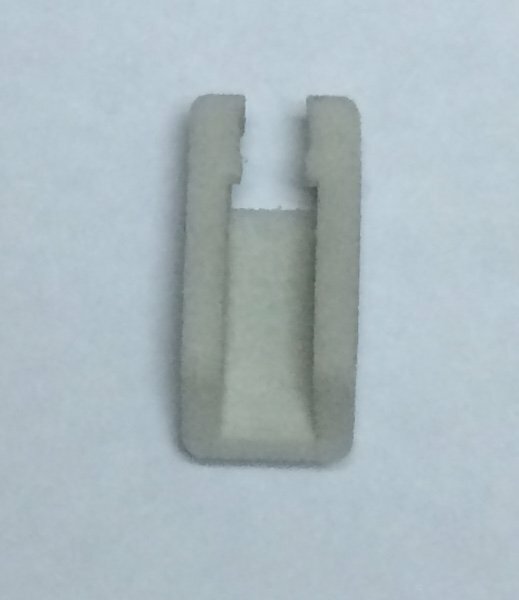 So I asked if there were any other plastics available, and got laser-sintered nylon printouts for a whopping $100 each—that’s what you see in the pictures. The nylon version confirmed that the design worked as I hoped, and when I showed them off at gun shows, retailers expressed interest in selling them. So I figured this might be worth producing. I had numerous other product ideas that I was working on at the time, so the idea just kind of sat there for a few months in that form while I focused on other things. But when I came back to it and started to study my original work, I realized that there was no reason whatsoever to leave the tip of the spur exposed like that. And I really do mean “no reason.” There is no benefit and considerable detriment to doing it that way. And then I had another thought: a closed-top model could be thermoformed rather than injection molded, which has the enormous benefit of not paying thousands of dollars for an injection mold. So the design process had to begin again.